Is there a better alternative to WeekList? Is WeekList really the best app in Personal Info Managers category? 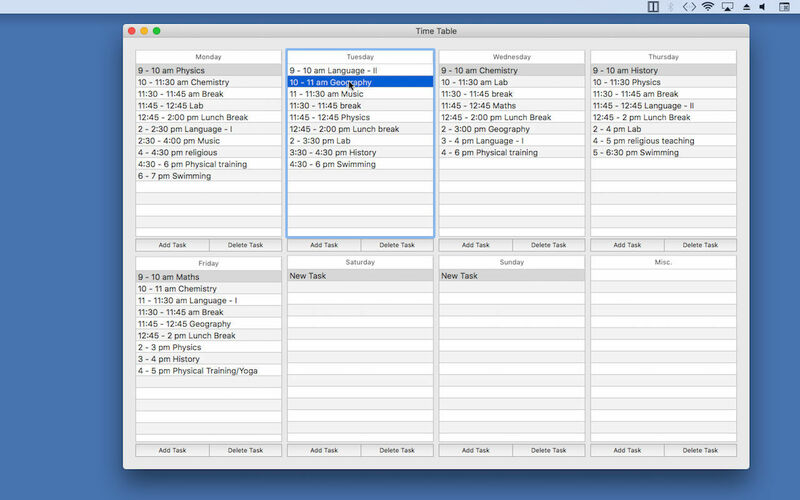 Will WeekList work good on macOS 10.13.4? 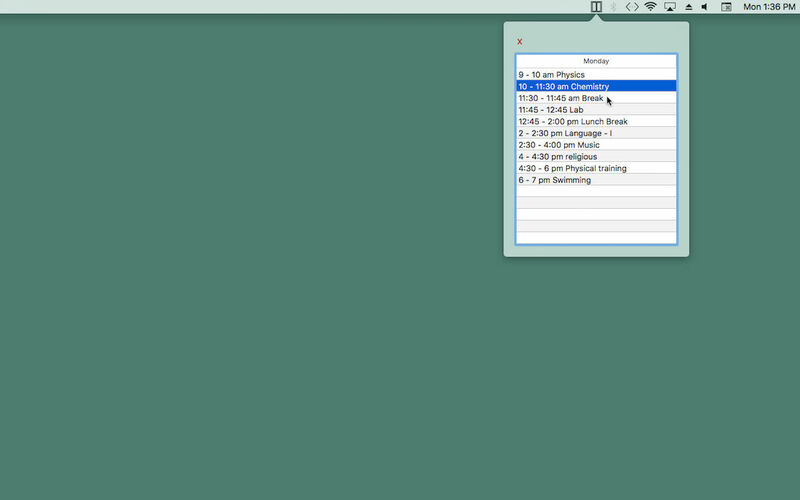 WeekList is a menu bar app. Each weekday has a unique schedule. When you open the app, and hit today's schedule,you see the schedule(jobs, periods ) of the current weekday. Full week's Shedule opens the time table. Here, you can see schedules of other weekdays also. 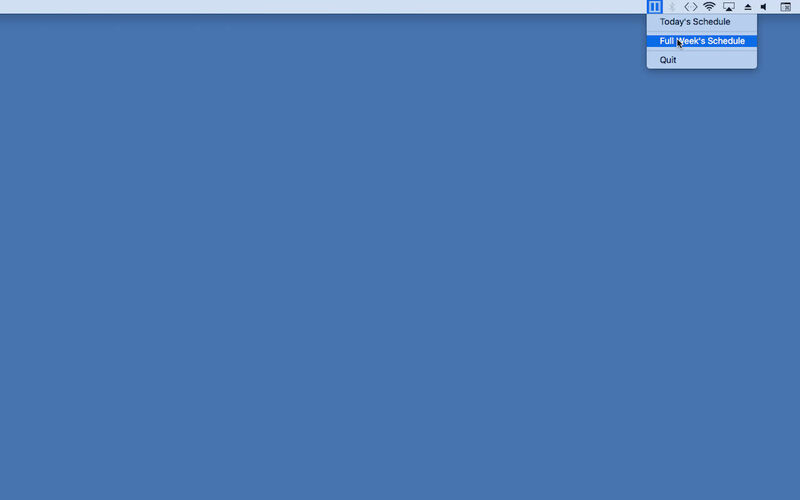 Just double click and edit any task.You can easily add new task. You can delete any task. Simple and easy to use and edit. Close button modified for dark mode. WeekList needs a review. Be the first to review this app and get the discussion started! WeekList needs a rating. Be the first to rate this app and get the discussion started!